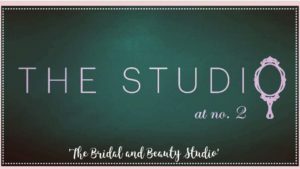 A One Stop Studio for Brides to Be. Niamh is both a Beautician and a Make up Artist who has trained and worked with Lancôme for the past ten years. Specialising in Bridal and Occasion Make up, Niamh Freelances throughout Munster and South Leinster but her base, The Studio at no.2 is in Cahir, Co. Tipperary. Here, Niamh provides the complimentary treatments/ground work you may require to look flawless and your absolute best on your day making the Make up application effortless. Your Skin, your Tan and Lashes are the extra areas that Niamh covers offering great deals on ‘Bridal Pamper Packages’. Working with only the best brands on the market such as Skinician, Yumi Lashes, He-shi Spray Tans, Armani, MAC, Laura Mercier, Stila, Estee Laudre and of course Lancôme, Niamh has done the research for you and knows what brands work best and which treatments give the best results. Of course the treatments at The Studio at no.2 are not just exclusive to Brides to Be, anyone can avail of these and ‘leave feeling amazing’.